Hammer is an instrument made up of a heavyweight head fixed to a long handle. The handle can be swung to produce a large amount of torque on the head of the hammer to create an impact. The hammers are used for a variety of reasons. They are used for inserting nails in solid objects, shaping the metals and other substances, crushing the rocks, and many more. Hammers are used for the purpose of shaping, framing, driving or breaking solid objects or metals. The hammers, which serve the purpose of framing or framing hammers, are heavy-duty hammers. 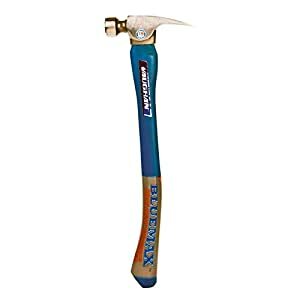 The head of the framing hammers can be made up of steel or titanium. The framing hammers whose heads are heavy and handle long help in driving longer nails easily into the solid object. 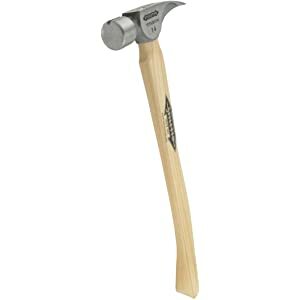 Moreover, there are different kinds of framing hammers. The head and handle portion of the hammers are made up of different kinds of material. Along with this, the size and weight of the hammer also vary. The amount of torque delivered by the hammer, the impact of the hammer, the force with which it impacts, and several other characteristics of the hammer are decided by its material, size, weight, and other physical features of the hammer. This, in turn, affects the type of work, which can be done by the hammer. Thus, the kind of material used for constructing the hammer, the size and weight of the handle and the head decide the applications and functionality of the hammer. Therefore, before buying a hammer, the buyer should focus on the features of the hammer and decide as per the area of application of that hammer. Given below are some of the best hammers for framing. Stiletto TB15MC TiBone framing hammer stands top in the list of best hammer 2019. 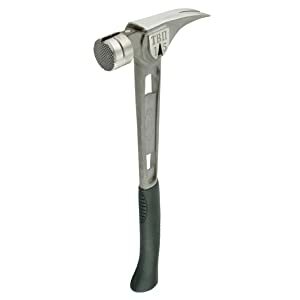 The hammer is made of titanium which makes it strong enough to perform doing heavy duty work. Along with this, the use of titanium makes the hammer light in weight. Thus, when you use the Stiletto Tb15MC TiBone framing hammer, you work smarter, not harder. This implies that you will be able to finish even the most laborious tasks without breaking a sweat. The body of the hammers enables a proficient transfer of energy from the handle to the head of the hammer. All these features are worth the cost of the hammer. Moreover, are you concerned about the shocks, which one receives after hitting the hammer hardly? If yes, then this hammer will be the most likely choice for you to make. The titanium body of the hammer eliminates the shock, which one receives after the hammer recoils. In addition, the handle of the hammer has a cover made up of rubber of superior quality. The rubber provides a firm grip to the user. Furthermore, the handle has a slight curve which makes the grip more powerful and aids in driving the hammer. Although, the weight of the hammer is light, yet, the hammer is powerful and strong. It enables the users to drive the nails in the solid objects by putting in the least efforts. Some might complain about the length of the handle. The hammer does not fit in some of the tool belts. If you care for an alternative of the former hammer, then go for Dalluge DDT16P. The body of this hammer is composed of titanium, which makes it strong and light in weight. The hammer is structured to absorb the recoil shocks produced by the hammer. Along with this, the design of the hammer maximizes its swing. The hammer possesses a cover on the handle in order to guard the handle and provide a firm grip. The hammer gets a classic look by the hickory of the handle. Along with this, the long size of the handle enables the users to perform a longer range of the motion. In addition, the hammer has a magnet, which holds the nail. Also, it consists of claws and a nail puller at its side. 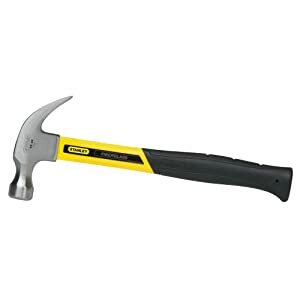 The Estwing E3-22S Framing hammer can be used to serve various purposes. It can be used for construction work, trimming, framing, and for many more purposes. The body of the hammer is composed of steel. This makes it a bit heavy. However, the strength of the hammer is unquestionable. The handle of the hammer is covered with a cover composed of nylon and vinyl. This enables a firm and soft grip. Also, the cover facilitates shock absorption. The Estwing E3-22S Framing hammer has a smooth and even pace of 16 inches and a claw, which guarantees lifelong service. The hammer is very well designed and structured. Thou, the size of the hammer is small, it can be used to perform heavy jobs. The small size aids in performing the task with accuracy and precision. The head and the handle are not separate, but, a single piece only. This will prevent the hammer from breaking or the head getting detached from the handle. Thus, the life of the hammer increases. The hammer is long lasting. The hammer can be considered versatile as it can be used for trimming, framing, construction work and for other purposes. The Stanley FatMax 51-944 Framing hammer is made of steel, which is forged twice. The hammer is a continuous piece which means that the head and the handle are not joined but, in a single piece. This reduces the risk of the hammer getting broken. The handle is ergonomically designed which eliminates the fatigue. 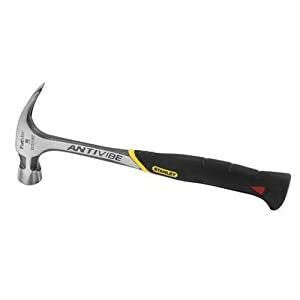 Along with this, the technology of anti-vibe minimizes the vibrations which travel from the head of the hammer to the hand. Thus, those users who need to use the hammer for longer periods, this feature of the hammer proves itself helpful to them. Furthermore, the handle of the hammer has a rubber coating which provides a firm grip. The anti-vibe feature of the hammer is effective and reduces fatigue even after working for long hours. The cost of the hammer suits the pocket of an individual. Some might argue that the hammer is not constructed properly. 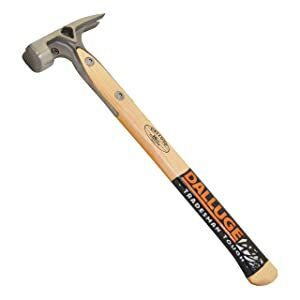 The Vaughan 19 Ounce Framing Hammer renders high performance to the users. The hammer is a good choice for users who need to perform heavy-duty tasks. The hammer consists of a milled grip, which prevents the hammer from slipping. The head of the hammer is made of steel and the handle is wooden. The hammer renders excellent balance. Furthermore, the hammer is designed to reduce fatigue. Along with this, it consists of a magnetic slot for holding the nails. In addition, the angle of the handle is designed technically, which makes it comfortable and easy to use the hammer. The hammer is cost-effective and is made of good quality. The claw gets broken easily. 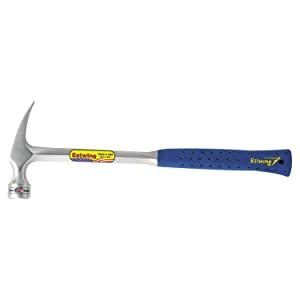 If you wish to buy a hammer, which is durable, then go for Estwing E20S 20 oz Straight Claw hammer. The hammer is made of a material of supreme quality which accounts for the longevity of the hammer. The handle and the head are forged into a single piece in such a manner which improves the balance of the hammer. In addition, the handle of the hammer is coated with leather which gives it a classic and attractive look. Also, the leather coating increases the grip of the handle. 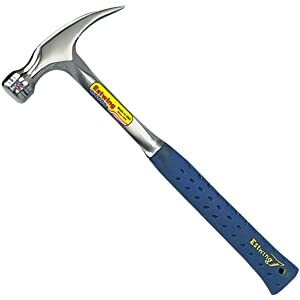 Moreover, the exceptionally affordable price of the hammer makes it worth. The excellent swing of the hammer has to be appreciated. There might be instances where the users will complain about the material is very much slippery which enhances the rate of dropping of the hammer. The Stiletto TI14MC Titan Framing hammer is made of titanium. Thus, the hammer is strong and light in weight. This helps in reducing the fatigue of the user while working for long hours with the hammer. The 18 inches hickory handle gives the hammer a classic look. The magnetic nail does not provide its service for a long span of time. The Stanley 51-621 made of fiberglass is a powerful tool for framing. The solid rubber handle renders a comfortable and firm grip to the user. The company has tempered the rim and treated the hammer with heat in order to increase its strength and durability. The features of the product are worth the price. The hammer is heavy which makes its usage uncomfortable. 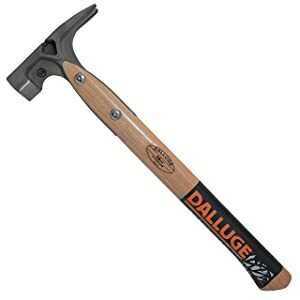 The Dalluge 7180 16 ounce titanium hammer is made of titanium and hickory. The hammer is light in weight and durable. The head of the Dalluge hammer is designed to render balance to the hammer. The hammer has a nail puller situated at one of its sides. Also, the possess a guard for overstrike. The handle might chip very easily. The head and handle of Estwing Mfg Co. E3-16S Clay Hammer are forged and technically designed. The design of the hammer provides comfort to the user and efficiency to the work. Furthermore, the handle of the hammer has a cover of nylon and vinyl which provides a soft and firm grip. Also, it increases the comfort of holding the hammer. Moreover, the hammer is designed to reduce the recoil shocks experienced by the users. The hammer is made of high-quality material. The size of the hammer is comfortable to be used in performing all the tasks related to carpentry. The users might complain about an irritating ring found in the hammer. Before buying a framing hammer, one should be careful about certain features. This aids in deciding which hammer should be bought according to the kind of requirement. The size and weight of a hammer play an important role in its usage. The hammer, which has a small size, can perform detailed and minute tasks with precision. On the other hand, the hammers, which are bigger in size, can be used for performing heavy tasks. Also, the hammer which does not weigh much will be handier than a hammer which weighs more. The material of the hammer accounts for its longevity and strength. Also, the durability of the hammer depends on the material. A hammer, which is made of high-quality material, can perform heavy tasks and they won’t get easily damaged over time. Furthermore, the material of the handle should be able to absorb or eliminate recoil shocks. The purpose for which the hammer is needed decides the kind of hammer to be bought. 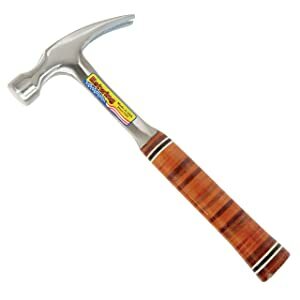 There are different framing hammers, which are available for performing different tasks. Thus, it can be concluded that the Stiletto TB15MC TiBone framing hammer is the best hammer for framing. The Stiletto TB15MC TiBone is an efficient and cost-effective hammer. There are other hammers too which can be considered. While buying a hammer, the buyer should emphasize certain features such as the size and weight of the hammer. Most importantly, the purpose of buying the hammer should be kept as the main criteria for deciding the hammer. Along with this, the hammer should be worth its cost. In addition, the hammer should be made of the material of superior quality in order to increase its longevity and durability. In addition, the hammers possess features such as the presence of a magnet for holding the nails. Also, there are hammers which consist of a nail puller situated at its side. Moreover, the hammer must be powerful and strong. The handle of the hammer should possess a comfortable and firm grip. An important feature to be considered is the elimination of the after-shocks. Moreover, the hammer, which comes handy and comfortable for your hand, should be bought.